Announcer: 00:00 You’re tuned in to the Investing for Beginners podcast. Finally, step by step premium investment guidance for beginning led by Andrew Sather and Dave Ahern, to decode industry jargon, silence crippling confusion and help you overcome emotions by looking at the numbers, your path to financial freedom starts now. Andrew: 00:36 Welcome to the Investing for Beginners. episode 95. Today Dave is under the weather so it’s just going to be me, but we have a guest today. His name is Kenny Robinson and I’m really excited to have him on. Kenny’s a fulltime diversified investor. You might have heard about him from his youtube channel called the Kenny Robinson channel and he’s got a lot of cool things I’ve, I’ve checked out several of his videos is I’m really excited to get perspective, particularly around dividends and dividend ETFs. 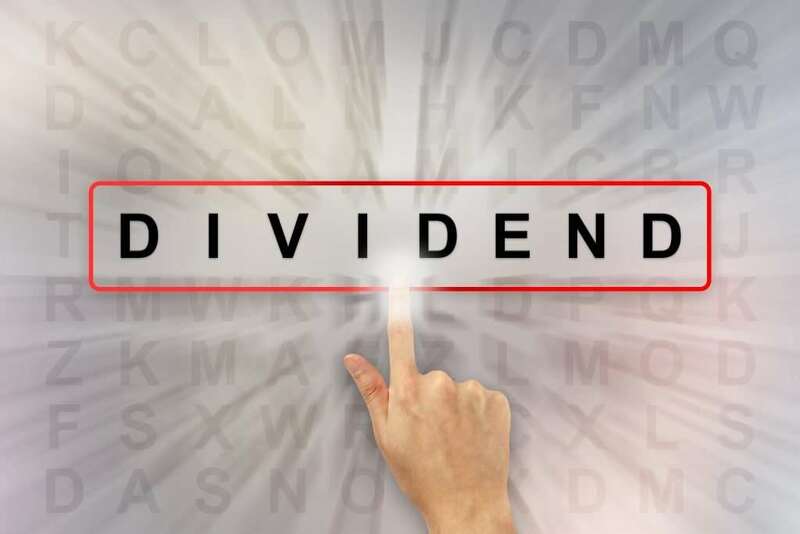 A, if you’ve been listening to the show at any length of time, you know how excited I get about dividends and I think we can have a really fun conversation. So Kenny, thanks for coming on and joining us today. Kenny: 01:21 Yeah, I’m, I’m very excited to be here on the podcast and, uh, hopefully we can definitely talk about some excellent ETFs and dividends in general. So yeah, let’s, let’s do it. Andrew: 01:32 All right. Let’s start, you know, you are fulltime diversify the investors. So what does that mean to you? I know we talked a little bit off the air and you said you do some investing outside of dividend ETFs. So, uh, what does that mean as far as the whole circle of kind of what you do with your investments? Kenny: 01:53 That’s a great question. So, uh, the, the core of my portfolio, so to speak, my overall asset base, a lot of it is publicly traded, meaning, you know, in, in the public markets, the stock market and bond market, dividend, ETFs. But as a true diversified investor, I also think it’s important to have a portion of your net worth outside of the public markets and private placements. Um, you know, regulation d type of private real estate investment trusts, as well as I also buy and sell physical real estate in person. Uh, so there’s, there’s several different things that I do that bring me that type of passive income, a different LLCs and businesses, but the lion’s share is publicly traded. So I think it’s important. It helps me sleep at night personally, right? Everyone’s a little bit different. But I think if someone has a diversified pool of assets that, you know, generating income for them, uh, not only, uh, via the sock market, but also a private placements and real estate for example. That’s a very, very good example where, uh, the, the whole keyword with diversification is also a uncorrelated, right? You don’t want all your eggs in one basket, so to speak. Um, so not only does that mean buying different stocks within the stock market, but also deriving some passive income from, excuse me, assets outside of the public market. Uh, so not only is asset allocation important, but I truly believe in asset location as well. Um, so, so I would say in a nutshell, that’s, that’s really what I referred to when I say diversified. Andrew: 03:33 That’s really, really key. So for somebody who’s an absolute beginner, can you explain what that means as far as finding assets that are uncorrelated and how that can help your diversification? Kenny: 03:46 Excellent. Excellent question. So let’s, let’s go at it from, um, you know, step number one baby steps with, with uncorrelated. So for example, when we talk about, you know, all of us, you and I and all of our listeners were either investors or you know, we’re listening to this podcast to become investors as well. When we talk about diversification and the old adage, you don’t want all your eggs in one basket. Well, when you’re placing your eggs in different baskets, uh, when we use the term uncorrelated, uh, for example, you, you might have a tech investment like Microsoft or apple. Well, if that specific sector, right, that specific part of the economy takes a hit, right? A crash or a good example is a 2008 we had the financial crisis with the credit crunch with mortgages. So if all your investments are correlated to the real estate market or mortgages or banks, the entire value of your overall portfolio is subject to a lot more risk than really it should be. Kenny: 04:46 So when you have uncorrelated assets, meaning things that don’t necessarily move in relation to real estate, for example, maybe a water utility, right? People need water, whether the economy’s in the dumps or uh, we’re a bull market. So you want to make sure you spread out your investments and have investments that are uncorrelated, right? Um, utilities are an example to real estate or tech or a health care, right? If you have all your investments in healthcare, you want to make sure that you pick something that’s uncorrelated from health care, such as real estate. So that’s really it. It’s a fancy word that really just means that you want to have your money spread out. Not only diversified in different companies, but companies that don’t necessarily have any business relation within that same sector. Andrew: 05:38 Because it’s so recent. We had the 2008 financial crisis, like you said, and it happened to coincide with the real estate bubble popping, but historically, I don’t think, you know, I’m no expert, but I don’t think historically that real estate returns and stock market returns have necessarily been, in fact, I think that can be a, you mentioned some good examples with healthcare and utilities, but I think just in general, real estate can be a good exposure that’s uncorrelated to the stock market just because you know you can have an asset, you can have an asset bubble in the stock market and not necessarily have one in real estate and so they can kind of counter balance in a way. Does that sounds somewhat correct? Kenny: 06:22 I think you hit the nail on the head and what newer investors have to realize. For example, there’s many different ways to invest in real estate. We can go through a diff, a few different ones. Kenny: 06:35 You can buy a home and and a rented out in your, you know, in the same neighborhood or city that you live in, right. That’s a physical investment that you’re buying, that you see everyday new manage. Um, you can also invest into a private reads and reads is just an acronym for Real Estate Investment Trust. It’s just a pool of real estate, um, that’s not traded on the market. So you’re going to invest in that and then you can also invest in real estate through the stock market. Right. And so it’s interesting when we talk about, you know, different things being uncorrelated and you’re right, historically real estate has generally been fairly stable and uncorrelated to market crashes. But with that being said, and so, you know, an example of that as you own a rental home in your own city or community and you know, whether the market crashes or not, you’re probably still going to receive rental income. Kenny: 07:26 And the value of the home is going to necessarily drop with the stock market. So we’ll rental home in your home city is uncorrelated from the stock market, but if you were to buy a real estate stock in the stock market and we had a major crash, even though that real estate company or the real estate that that company owns isn’t necessarily, you know, in in hot water or doing poorly simply because that company is traded on the stock market and if all the broad indices are and everything was crashing with that, you know those that you know, the value of that real estate specifically that traded instrument, the stock, the share of stock is correlated by default because it is traded. And so when we talk about a uncorrelated, you know, basically what I’m saying is I’m glad you brought that up because sometimes people say, well I own I own real estate stock and that’s uncorrelated from the general stock market. Kenny: 08:19 Well it’s not just cause you own real estate. You want to make sure you own the right type of real estate that’s uncorrelated from a market crash. Cause then a big crash like oh wait. And some of our listeners may be younger and really haven’t seen the charts on that. It really didn’t matter what you owned. For the most part, everything went down. Um, even if it had great fundamental, you know, balance sheets basically, you know, fundamental numbers, meaning even if it was a solid company, the share price still took a beating. Um, so you have to be careful. Well, uh, I guess, you know, newer investors when, when you want to make sure your assets are uncorrelated, just cause it’s real estate in the stock market doesn’t mean that it won’t go down. Andrew: 08:57 Yeah. Thank you for making that clarification. I think it’s an important one. So while we’re on the topic of real estate, I always play devil’s advocate whenever it comes to kind of new ideas that we’re presenting. So we want to hear the positives and the negatives to anything. So, oh yeah. As a beginner or somebody who maybe is interested and you know, whether that’s private real estate that you manage in your own town or it’s a re, uh, you mentioned reach that aren’t traded in the stock market, whether some of the things that new beginners would try not to fall into. The type of things that a lot of them get stuck with. Kenny: 09:40 Newer investors if they want to dip their toes into the real estate game is, um, they, they find a one book or one teacher or one expert in the field, right? And they only learn from that one expert. So, you know, there’s 1,000,001 different real estate, very successful, very smart, very honest and good real estate investors out there. But everyone has a little bit of a different method. And so what I was tell people, and really this applies to all types of investing before you placed your dollar in harm’s way, right? Wrist, which that’s a four letter word, but it doesn’t mean it’s bad. But before you do that, um, I always say you really need to go out and speak to several different people that are doing something, um, that, that you’re interested in doing and say, Hey, what are your mistakes? Um, kind of like what you’re doing now you’re listening to this podcast thinking, okay, I’d like to invest in the stock market. Kenny: 10:34 I’m also interested in real estate. Um, but, but the biggest thing is always, always under undershoot your estimated returns, right? If you’re buying a rental, you say, well, I could rent it out for this much. A lot of times people forget to take into account, well, the roof is 10 years old and you know, roofing usually lasts about 20, 25 years. So what do I need to put away each month now to be able to pay for a brand new roof and 15 years from now or a, what do I need to set aside for vacancies and all sorts of different things that come up. Eviction costs, uh, attorneys and a water lines that break that your insurance won’t cover. Right? Uh, so there’s many different things. If you think it seems easy and glamorous and a lot of people make it seem that way, there’s a lot of work that goes into it. Kenny: 11:21 So I always say before you put your dollar, your hard earned dollar in harm’s way, you really have to perform and you’ll learn, you’ll probably hear me say this a lot during the podcast, perform due diligence. Make sure it’s a suitable investment for the amount of risk that you’re taking on. Um, so, so there’s several different keys that we can get, you know, dial right down into, but that would be the biggest thing. Make sure you do a wealth of research. I always say, don’t, don’t, uh, you know, don’t just try one koolaid. Try Them. All right? Don’t listen to one guru. Really listen to all, all different types of people. Find people, your local area, you know, local real estate investors and, and, uh, most of the time what you’ll find is 99 out of 100 real estate investors, um, successful ones will be happy to help and mentor, you know, as long as they have the time. Um, every once in a while you’ll find someone that wants to be secretive or, or really doesn’t want to help. 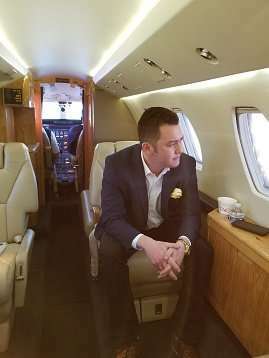 But for the most part there’s a lot of smart, good, successful real estate investors out there that can really help give you some, uh, some tips and pointers as much information. Andrew: 12:28 As I was telling that to my mom actually today she’s talking about annuities and stuff and I said, make sure you’re getting as many different opinions on that as you can and not just listening to one. I think that applies whether you’re talking about insurance, real estate, stock market bonds, passive income. Kenny: 12:52 Exactly. And it’s funny you mentioned that the a word annuity, and I don’t want to go off on a rant here, but it’s very, very interesting. So annuities, I, I love this analogy for annuities. 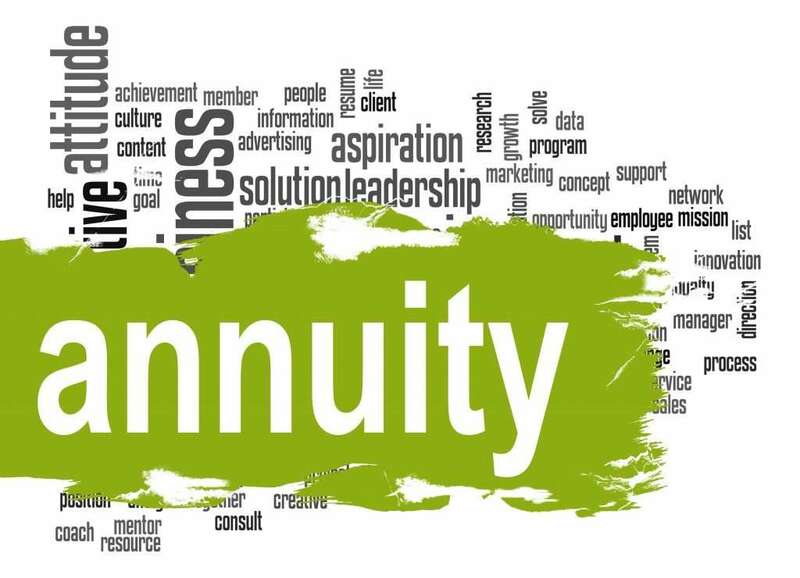 And for those listeners that aren’t quite familiar with annuities, essentially annuity, there’s, there’s many annuity companies out there. But basically, and again, there’s different types of annuities, but very, very broad generalization of annuities is say you have $100,000 and you want, regardless of what the stock market or the economy does, you want guaranteed income. Or maybe you want some tax to parole. So you, you, you place $100,000 in this product, right? We’ll call it a product. And that company, the annuity company will guarantee you income for life for, you know, there’s many different bells and whistles. So they’re good for a lot of people. Uh, but some people they’re not good for. Kenny: 13:43 So what I like to say is, because there’s a lot of hard line people out there saying annuities are the best thing since sliced bread. And then on the other side of the coin, people say, you know, stay away from annuities no matter what. Well, the truth of the matter is with annuities, and I know this is investing for beginners, so I’ll be short with this annuity analogy, but, um, annuities can be life changing for the right. It’s all about Su suitability for the right person. And an annuity can be, can truly be the best thing since sliced bread. So annuities or like a Swiss army knife, they have this feature, they have that feature, they’re handy for this. They’re handy for that. But if you’re not careful, you can cut yourself. Um, so if you get the right annuity, and I just want to make this clear to everyone, if you get the right annuity for the right situation, there can, there’s nothing better than that. Kenny: 14:31 Um, but depending on your other financial, uh, depending on for someone else, annuity is not the right choice. So you hear a lot about annuities as a retirement term and people say, Oh, well my neighbor did this and he loves that annuity, that, but my other neighbor on this side, this side of me says he hates the annuity. Well, you know, there’s many different. So just like a Andrew just said with anything always to your research, especially with annuities because there’s a lot of confusion, but there is some killer killer annuities out there. Um, so yeah, it’s funny you brought that up because I hear that a lot. So there we go. Yeah, there we go. Yeah. Kenny: 15:19 Um, I don’t have an annuity. Annuities are generally, now there are some for, I don’t want to call myself too young, but generally speaking, annuities, uh, the, the types that we’re talking about where you save up a nest egg and place it in an annuity, those are for people generally about 50 years of age plus maybe 40 plus. Um, but really a lot of things can be considered an annuity, like a four o three B plan. If there’s any educators or teachers listening to this, if you’re a public school teacher, you probably have what’s called a 403 B account. It’s kind of like a 401k except in the public space. So that’s technically considered an annuity. Um, but the annuities that were were referencing in general, uh, for, for tonight’s episode is really the type of annuity when you reached the doorstep of retirement, right? Kenny: 16:09 Average age is 65. You take a slice of your liquid money, right? Like a 25% of your 401k and you roll that into an annuity, which is going to pay you income for life. Um, so at this point I don’t, uh, just because at this point I’m still in the growth stage. Uh, but eventually I will definitely be a placing some of my assets inside an annuity. A good one. Um, but there’s though there’s a lot of good ones out there and there’s some bad ones out there. And if there’s anyone listening to this that at that age on the doorstep of retirement and you’d have some annuities, um, don’t, you know, don’t, don’t jump into them thinking they’re going to save you, but also don’t be scared of him. There’s an excellent ones out there. And what I suggest is meeting with several different financial licensed financial advisors are licensed insurance brokers that sell those and just really meet with them and say, you know, is this suitable for me? Uh, cause there’s some excellent ones out there. Andrew: 17:01 But yeah, especially if it’s like a tax shelter tax preferences. Kenny: 17:07 Exactly. Yeah. So it’s, it’s similar to Iras and four one ks where you continue the tax deferral, which is really, or you can place, you know, just regular taxable money in there and it grows tax deferred. So, yeah, I’ll get off my soapbox about it. But the biggest confusion with annuities is people say, Oh man, uh, you know, the, the person that put me in this annuity told me it was a five fivestar annuity. And I say, well, it depends on what your needs are, right? If you’re a family man with three kids and a, you know, a Ferrari is a five star car, but it’s an unsuitable car for your situation, right. It’s terrible car for your son. So of course you hate it. So a lot of the confusion with annuities is the fact that people might do the annuity itself is awesome, right? But people just placed themselves or got placed into the wrong annuity for their needs. That’s the biggest confusion. So, um, that’s, it’s actually want that, uh, you guys are doing research on that. Andrew: 18:04 I like the analogy between the Ferrari a guy, he’s got kids. Kenny: 18:08 Yeah. You know, he, he wouldn’t need like an SUV or you know, if you’re a hunter in Alaska where it snows all the time. Yeah. For our is a five star car, but it is the worst possible product for your needs. Right. Uh, so that’s the biggest, biggest, uh, you know, a miscommunication I guess I would say with, with annuities as you see these people. And then I look at the annuity and I say this is an excellent annuity. It’s very efficient, low cost with all these different guarantees. A but yeah, of course you don’t like it because you placed your entire liquid nest egg in it. So of course, yeah, if you lock all your money up, that’s not good. Um, so you know what an annuity is great for a slice of your overall portfolio. Andrew: 18:50 That’s a good distinction. Announcer: 18:53 What’s the best way to get started in the market? Download Andrew’s free Ebook at stock marketpdf.com you won’t regret it. Andrew: 19:03 So you met, you mentioned this identity, but you know, feel free if it’s too personal that you sound like a young, you know, pretty young guy. Um, you’re in the growth stage. I’m in the growth stage as far as investments. Uh, and you are full time already. So, how, how did you get there or, um, what was like your general journey? Or we can just skip and go to the next topic if you’d like. Kenny: 19:28 Yeah, yeah, no, no problem. I was thinking, you know, when, uh, when people are public about, uh, you know, money in different investments and, and what they do, and if I present myself in the public space, I think it’s important to be able to tell people exactly where I came from and how I did it and everything like that. So if anything, please cut me off because I don’t want to ramble on. Um, but, but yeah, you know, I would say I’m, I’m, I’m, uh, a little bit under middle aged, right. I’m, I’m closing in on the last year of my twenties, uh, which has been such a whirlwind, but, um, yeah, I’m in. Andrew: 20:01 Dave is not on, because he would get really upset that you said that middle aged, middle aged. Yeah. So under the last middle age. Kenny: 20:11 Yeah. So keyword there. I’m, I’m, I’m not quite middle aged, but, um, no, you know what’s interesting is I, I, uh, I think the best time and, well everyone has different opinions, but, uh, the, the best time in life is yet to come. Um, but, but for those of you that are listening, that are, that are younger than me or even around my same manager, I guess it doesn’t really matter. Um, my, my story is I grew up in a, in a single parent household and, and just so I started off like that and people say, Oh, here we go, rags to riches. It’s not really like that. Uh, but I, it really where I am now is a combination of, of things from early childhood triggered events all the way up through, you know, my entire, uh, you know, decade of, of twenties. So interestingly, my, my father, my biological father started a software company in the 80s. Kenny: 21:00 And, uh, for, for all intents and purposes, it was essentially what we can do today in five minutes. So it would have been obsolete in today’s standards. But what it was was a, a, a software company or a piece of software that, uh, gave, uh, companies the ability to, um, say, okay, Microsoft, I have all these pallets of Dos operating system hardware that I’d like to ship to this place and this place and this place. Well, my father software would say, okay, you can fly it here, it’ll get here on this day for this much. Here’s all your different options. Here’s the most expensive, here’s the cheapest years. So give them all different sorts of shipping options, which when I say that in today’s world, people say, yeah, Ebay does that can go to fedex.com I can, you know, but in the 80s, it was really unheard of. Less unless you call up a, a freight broker. Kenny: 21:49 Um, so that was very interesting. So in my early years, what I was born into was, um, you know, a lot of material items, a lot of difference, um, you know, excess, so to speak, I think to anyone’s standards, you know, full size pool in the backyard, water, all sorts of stuff. You know, brand new home, uh, anything we wanted. Um, but what, uh, what, what happened when I was, you know, I’d say six, maybe going on seven, is, you know, my, my parents got a divorce and by this time it’s, uh, early nineties, late night or mid, early to mid nineties. And, uh, it was interesting. So, uh, unfortunately my, my, my father really was focused on, on one thing, which was money. Um, and so it’s funny, as I talked about investing in money and everything today, my daily life, and people think, you know, that I’m obsessed, but really, um, money is a very, very powerful tool and it can be, you know, the one of the best things in your life, but you have to be careful with, with how you approach it. Kenny: 22:48 And so what I learned basically from my father as what, what not to do, uh, but he prioritized wealth and money over everything else, including his wife and his children. And so, um, uh, my mother, interestingly enough, is the exact opposite. Right? Um, she, uh, she money’s important, but family and everything that’s obviously, you know, more important, which most all of us agree with. And, um, so in, in my father’s pursuit of taking over the world, he started to, you know, disregard laws and his ethics were challenged in, in daily life. And, uh, he just wanted to make more and spend more, everything was material, blah, blah, blah. And Yeah, it’s fun as a, as a child. But what my mom started doing because it was agreed that she would be the homemaker and he would bring home all the bacon, which is, he was good at. Kenny: 23:35 My mother is the exact opposite. She’s not a massive risk taker. She’s very by the book ethics, morals, laws. And so, you know, she’d be doing laundry and she would just pull wads of cash out of my father’s pockets, you know, that he just didn’t account for it. Money was water 10 through his fingers. So she would peel off, you know, one, two, $300 that at a time I’m out of his pocket and put it in a shoe box in the closet thinking, well gosh, he doesn’t say, he just spends in Meigs and you know, you know, basically what she was forecasting was at some point in the future of the music’s going to stop this high flying life style. The, the, the, some of the stuff my father was getting into in business and law and, and, and taxes and just different things that he wasn’t doing that wasn’t kosher. Kenny: 24:16 Um, so my mom, thank, thank goodness she was saving some of the money, which was family money. Right. Um, and um, so at when the divorce went through, um, he was really a adamant on not having to, to, to do anything essentially. So no child sports. The long story short, I was raised by my mother for many, many years and uh, she went back to work. Luckily she, she has several different skillsets, so she was able to keep a roof over our head. But I went from having everything in the world. Any that probably too much, um, to basically saying, hey, we haven’t this can of tuna, we’re going to all split it. And, uh, my mother did as best as you know, as best she could. And, uh, you know, we had to a stay at home sometimes when we get home, she couldn’t afford a babysitter. Kenny: 25:00 So there’s a lot of, you know, a lot of lack of parental supervision. But, um, eventually I, uh, at age 14 and a half, I got my first official job versus w two earned income. And for those of you that have seen my youtube channel, actually did a video about that. But my first ever job was fort. I was 14 and a half. I got, uh, hired on and Mcdonald’s and, uh, that was at a point where, you know, the last six, seven years I was used to basically fending for myself. Right. My mother would provide a roof over my head and food, but we really didn’t do much else. Um, and also during, around that same period, I got that job. My mother remarried her college sweetheart, which, you know, is very opposite of my, my biological father. Very hard on us working man. Kenny: 25:45 So with that, in my early teen years with my job and, and, and my, my mother and my stepfather, I was really in an atmosphere of, hey, you, you, you go to work, you earn, you set some money aside, you know, uh, you know, you just keep charging forward and, and you’ll, uh, you’ll achieve success. And so as I, uh, as I got to my senior year of high school, um, you know, I always paid for all my clothes, my own vehicles and, and set a little bit of money aside. And in fact, my first investment was the Tia crest equity index mutual client. I didn’t know what it was at the time that I bought it, but, uh, that was one of my first ever, uh, stock market investments. And, uh, my parents made it clear to me and my senior year of high school that, um, if I wanted to continue to live under their roof, that’s fine, but either had to be going to college or I had to be developing a skill or working in some sort of industry or some sort of job that I could climb the ladder, right? Kenny: 26:40 It’s, uh, they, they weren’t going to allow me graduate and then just go, you know, deliver pizzas and, and kind of hang out at their house. And so they made it clear that once you graduate, you’re welcome to stay here, but you, you have to be doing something productive or whether it’s college or learning a valuable skill. Um, so as at 18, as, as most of us at that one point in time, we have the world figured out. And so of course I didn’t listen to them and I, I joined the marines and I figured, well, if I want to go to school, I can have it paid for because the, you know, they weren’t really going to pay for my schooling. And by this point, you know, and I, and I should say a little side detail by that point, by the time I graduated, my, my parents could easily pay for my schooling. Kenny: 27:21 And, and they actually, you know, both of them are disciplined favors, but it’s more of a, a principal type of thing. They’ll loan me money at an interest rate, uh, not to make money, but purely just to make sure that, uh, I’m a capable individual entering the, uh, entering adulthood. But, uh, so I joined the marines and I traveled around the world. I figured, man, I, I wanted my cake and eat it too. So I joined the marine reserves thinking, okay, well I’ll go, uh, play the marine gig for a little bit, but I’ll be home, uh, for the most part. And I can still, you know, chase women and, and go to college. And well, that was the time when a lot of, uh, Iraq and Afghanistan was heating up. So I wasn’t really home a lot from age 19 til about 22. I was gone. Kenny: 28:01 Afghanistan, uh, Africa several times. Romania, Germany, Kurdistan, you name it. And so I learned a lot of, you know, I went through a lot in that stage of my life as far as like, you know, uh, toughness, I guess for an easy word. And, uh, I didn’t have a lot of bills, so I saved a lot of money and I spent a lot of money as well, but about four to 5,000 made it into an s and p 500 index fund, um, which, which was nice. And, um, one thing that I did immediately upon getting home and really finishing up my, a obligation in the military was I purchased my first home with a VA home loan. So nothing down. Right. For those of you that are familiar, and that was, I believe I had just turned 22. Um, so this was about, uh, yeah, going on eight, nine years ago. Kenny: 28:47 And immediately at that age I was, I was ready. I was done with the military ready to, um, you know, live life, go to school, enjoy things and, and, and we’re confined to job. Well, all of my friends moved into my home with me and they were all paying the rent. And this wasn’t a strat. It’s, I could say this was a strategy, but it was really just me wanting, you know, all my friends to, to hang out, uh, you know, all in the same group and under the same roof. And, um, so all of them paid me rent. And so I, uh, started paying, you know, double, triple my mortgage payment and one day I did a calculation and thinking, Whoa, I, I, you know, I’m basically paying my mortgage off that mortgage off at record pace because all the savings on interest and, you know, there’s, it’s debatable whether or not that’s, you know, good or bad. Kenny: 29:30 And I actually have a video about that as well on my channel. But essentially I was able to pay my home off within six years. So I just paid it off with a few years ago. And, uh, you know, just simple three bedroom, two bath home and, and, and it sounds a lot nicer than it is, but really this is in, in a, uh, not a high populated state, a decent college town area. So I didn’t pay a ton for the home. Some people are thinking, Whoa, three bedroom, two bath, you know, it wasn’t several hundred thousand dollars. It was pretty modest and that’s the home I still have today. Um, and so throughout my twenties, I had my first company was a detailed company, automotive refinishing and went out and got contracts all over the area for, uh, I would, uh, get trade ins from all the dealers, refurbish them, and then they would sell them. Kenny: 30:15 So it was making a lot of money doing that. That was, I was really good at cleaning after the Marine Corps attention to detail. And, uh, so I, I was successful with that. It was in fact, there’s a few newspaper articles out there that you can find me being interviewed about that. But, um, what I learned from that is hard work is good, but it’s not always the best paying. And so I was working eight days a week essentially at, at that company backbreaking work. And I figured, well, if I can be successful at this, I know I can do other things that may be less labor intensive and I’ll have a couple of days off. So I started a factoring company. For those of you that are unfamiliar, familiar with factoring invoice factoring is, um, I would essentially provide cashflow services for small to medium size businesses. So if you’re a small business and you have a product for example, and um, someone, uh, down the road orders, uh, say you know, 5,000 units, well you probably don’t have the cash to buy 5,000 units to sell those 5,000 units. Kenny: 31:15 So we would provide that. Or if you are a service company and you and did a bunch of service, uh, say landscaping, you did a $20,000 landscaping job for a company, well that company probably isn’t going to pay that invoice for 30 to 45 days. So you could give my company a copy of that invoice and I’ll give you 97 cents on the dollar. And then I’ll collect, um, you know, that amount plus three or 4%, 30 days. So I was making 3% on my money, um, every, every 30 days, every, every month, essentially, which is insane returns if you compare that to the, to the stock market. So I did that quite a bit. Um, and then that really was, it was good money, but it wasn’t really exciting and I was going to business school at the time. So I’m thinking, well, I love business. Kenny: 31:59 I love investing. Why don’t I apply at this financial firm in my hometown and, uh, see if I can get a job doing something there. So I got hired on with the understanding that, um, I would, uh, do several of these business courses and get several licenses and everything to be able to, you know, help service clients at that firm. And that’s when I really took a deep dive into, um, and this was at about age 25. So going on five years ago, I really took a deep dive into market investing in real estate investing. And, um, so I really got a wide variety of investment knowledge from that job. Um, and then I was able to create a passive income for portfolio of publicly traded, uh, instruments as well as real estate here in my hometown. That right now at this point in time, uh, provides me with enough income to cover my basic expenses. Kenny: 32:54 Keep in mind my, my home is paid off, my car is paid off. Um, I, I, you know, I don’t live in a match and I don’t drive a Bentley. I’m not Uber Rich, right? But I’m at a point where all my basic and what I mean by basic is I have a roof over my head. My utilities are paid, my insurance is paid, my gas, my groceries. Right. Um, but if I want to do anything above with that, of course, that’s still where I need active income. Um, so obviously I do that cause I want to do more than sit in my home and have the water run. Um, but, but that’s basically in a nutshell without going on for several hours where I’m at right now. Andrew: 33:36 Now I’m a millionaire or whatever, actually the here, you know, it’s just, it’s very relatable, you know, like just hard work kind of for this and kind of plugging away every day and being smart and saving. That’s really cool. Kenny: 33:55 Luck is a little bit to do with it, you know? Uh, at an early age, again, I was lucky to have at least my mother and my life to say, hey, put some money away. She helped me purchase, I didn’t even know what the, the equity index was when I bought it, but little things like that along the road. And then having a stepfather that I always didn’t see eye to eye with, but at the end of the day, he’s a good honest man and, and, uh, him and my mother are still together and they’re actually retiring here shortly. So, uh, yeah, I mean, just all around. I worked seven days a week to, you know, to be short about it, I worked seven days a week throughout my twenties. I still work quite a bit. In fact, Andrew and I were just talking about this, but, um, seven days a week, my twenties I always had in addition to the, the detail shop and the factoring company and my real estate investments, I’ve always had different side hustles that p and this is something you know for, for younger listeners, if you’re in your teens or, or even twenties and you’re wanting to get ahead. Kenny: 34:46 I see a lot of, and, and again, it’s not an attack on, on, you know, people in general, but I see a lot of younger people having too much, I’ll, I’ll call it pride to not want to work fast food or not want to work a job that might be embarrassing, like janitorial or, or whatever it may be. But you know, the people that you think matter in your life, I’m certain peers and things like that, unless they, unless they’re paying your bills or they’re helping you get to the next level, their opinion really should matter. And I know that’s something that, you know, people at a certain age aren’t really going to listen to. But to give you an idea, you know, I’ve, I’ve worked a night shift as a janitor, a as a side hustle. I’ve, I’ve worked, I have pictures of this too because I knew one day that I wouldn’t be doing this and I would want to share it. Kenny: 35:27 I have big, I have pictures of in front of big industrial laundry machines at a two star hotel that I worked the night shift, but I had to clean all these dirty sheets, anything to be able to set more money and get me to my end goal. So it wasn’t a, it wasn’t a hookup from my parents. It wasn’t a, like Andrew just mentioned, uh, uh, a company I started that just shot to the moon. It wasn’t a lucky stock pick. Um, really anyone in America, if you’re listening to this in America, we’re specially lucky that we have all the opportunity in the world and, uh, some people take that for granted. Kenny: 36:24 70% more than I’d like. I’d like to stay a little bit, uh, less correlated to the market. About 70% of my income now is coming from dividends and it’s a lot of it. I do own individual stocks and I like them, but a lot of it is through dividend ETFs and that’s an acronym for exchange traded funds. And for those that are completely new, all that me, and it’s kind of in the, in the, uh, in the name fund, all that means is it’s a basket of dividend paying stocks. So you put a dollar into this basket and it’s spread out among anywhere from 50 to 2000 different stocks. And it’s, it’s a safety play. It’s a diversification play too. You know, where, you know, if I, if I, uh, if I place money in this dividend ETF, if one of those stocks goes down the toilet, meaning sales, I really don’t, it doesn’t change my lifestyle or my income, uh, that abruptly. Um, so that’s why I love dividend ETFs as well as individual stocks. They’re fun. But a lot of my income is, is from ETFs in general dividends. Andrew: 37:26 That’s an obvious question, right? How would you recommend, if they wanted to look into kind of getting into ets, how would they, how would they go about it? Kenny: 37:38 So many different brokerage platforms. For example, like TD Ameritrade, if people like doing everything themselves, TD Ameritrade has a good platform where they have commissioned free ETFs. But the biggest thing is I would say when you’re getting into dividend investing and, and I, I wouldn’t say I’m biased cause I hate to think that I’d be biased towards any investment. I should never get emotional about investments or money. But, um, dividend investing has been proven time and time again, way before I was, you know, Andrew and I were around that dividends create wealth over time. Um, but diversified dividends or even better. And so the way you can get into that is, um, take a look at, uh, uh, and, and if you’re listening to this, write this down or replay it, but take a look at dividend aristocrats, right? Dividends that have increased their payouts a minimum of 25 consecutive years or more. Andrew: 39:18 versus giving them education. And that’s perfect, right. We’ve talked previously on the podcast about dividend aristocrats. You can go that episode for the nine for that we had from sure. dividend.com. I know you’ve got a ton of videos as well and your channel. Um, so tell us where we can check you out and you know, tell us about a couple of videos that you have related to if somebody wants to educate themselves on dividend ETFs or any other aspects of our conversation today. Give us a snapshot of a title of a video you did and a little summary. Kenny: 39:58 Yeah. So if you’re on youtube and Kenny Robinson, you’ll, you’ll see my channel and I have mostly dividend dividend ETFs, for example, you know, retiring on reads or living on dividends, stocks safely. That’s a key word. Um, so I can point out a few individual ones, but if you go to my video section, uh, there’s a smorgasbord of dividend videos and then another one that people seem to like that I get emailed about is, um, you know, saving $50 per month changed my life and it’s a good, good one for beginning investors to watch as well. Andrew: 40:35 Excellent. So yeah, definitely check that out. It’s the Kenny Robinson channel. Kenny, thanks for coming on. I really like how I stumble on, basically what you’re doing is I was in the Facebook group with you. Um, and I saw who’s this Kenny guy and he was just asking these questions. He was like, hey everybody, I’m about to make a video for beginners. Um, what would you like to hear and what questions would you like answered? So I really resonate with that. I love this idea of answering people’s questions because you know, every expert who talks about the stock market or investing, they don’t remember what it’s like to be an investor because they’re so far PASA. I’m definitely guilty of that too. So I think it’s so key to be able to ask people where they’re at, whether you struggling with and help them out. So I know you made a video, uh, based on that. I think you call it just investing for beginners. So I think that’s fine nurse too. Andrew: 41:34 part one and, and keep in mind it’s literally what that is, is investing for beginners. So if someone is listening to this by chance has never purchased a stock or might not even be 100% sure on what a stock is, that video is for you a, if you’ve been investing for a few years that might be a redundant, but investing for beginners, part one on my channel is for someone that is a completely new to investing. We start from the very, very basic and so, uh, it’s a series that will be continually progressing with them and uploading. Cool man, thanks again. Kenny: 42:12 Thank you so much. Thanks for having me. Andrew: 42:15 That’s going to do it for us tonight. If you enjoyed our show, you know you could check out the show notes, a all on investing for beginners.com I’ll have links set up. I’ll have Dave set up some links to some of the videos that Kenny talked about today. Hopefully you enjoyed this episode. If you’re enjoying the podcast, be sure that leave a review. I would appreciate that. I love to see positive reviews or just feedback in general. You can also email me so that all being said, have a good week. Invest with a margin of safety, emphasis on the safety, and we’ll talk to you next time. Announcer: 42:54 We hope you enjoyed this content. Seven steps to understanding the stock market shows you precisely how to break down the numbers in an engaging, readable way with real life examples. Get access today at stockmarketpdf.com until next time, have a prosperous day. Announcer: 43:19 The information contained is for general information and educational purposes only. It is not intended for a substitute for legal, commercial and or financial advice from a licensed professional. Review. Our full disclaimer at einvesting for beginners.com.